The Xperia XZ is Sony’s best device yet, but in a competitive smartphone space, Sony faces a tough battle. The Sony mobile look is unmistakable. While the Xperia XZ has moved from an Omnibalance to a loop design, the sharp rectangular combinations is classic Sony and stands out from other phones. The top and bottom bezels are rather big, which makes it almost the same size as a Samsung Galaxy S7, which packs a 5.5″ display. The front display at 5.2” is adequate but in an era where the trend is big, big, big, it might feel a tad small when compared to peers rocking a 5.5” or bigger screen nowadays. The colour scheme on the Xperia XZ is really cool though, especially the mineral black and the blue. I like the fingerprint sensor on the Sony Xperia XZ. Positioning is great on the right side of the phone, as it is a comfortable position to rest your thumb (right hand) or to slide my index finger across when holding it in my left hand. I find it to be more ergonomically positioned as compared to the Samsung Galaxy S7. The scanner was also pretty accurate and responsive. The rest of the buttons, the volume rocker and the dedicated camera shutter button are positioned under the power button. Since the buttons all line up on one side of the phone, it occupies so much space on the side of the phone that when I use a grip-type car holder, the phone wobbles due to being severely off-balanced. The 3.5mm audio jack is at the top, and the USB-C port is located on the bottom. The Xperia XZ uses the popular hybrid dual nano SIM slot, which allows a combination of one nano SIM and one microSD card. The only issue, each time you remove the slot, the phone shuts down / reboots. It can be an issue if you need to swap memory cards often. Another weird aspect is the positioning of the NFC chip. It is at the front, top left corner of the phone. I tried out Android Pay on the Xperia XZ, and had to literally place the screen over the terminal to get it to detect. Which means, I couldn’t see the screen where it would typically acknowledged with a tick. I tried angling it using the edge to tap but it didn’t work for me. The Xperia XZ is also IP68 certified for water and dust resistance, and will survive the occasional rainy day, but it’s no longer encouraged to take it for a swim. The Xperia XZ runs on Qualcomm’s 64-bit Snapdragon 820 quad-core SoC with 3GB of RAM and Adreno 530 GPU. It’s a flagship phone with specifications that would have been great – 6 months ago. So when the phone demands top dollar pricing, it’s hard to equate it to value for money. At US$499, that’s a different story though. The 64GB of storage helps you store more games and precious photos and videos. The camera on the Xperia XZ is Sony’s 23-megapixel primary camera with predictive hybrid auto-focus, 24mm wide-angle G Lens, software based 5-axis stabilization and 4K video recording capabilities. 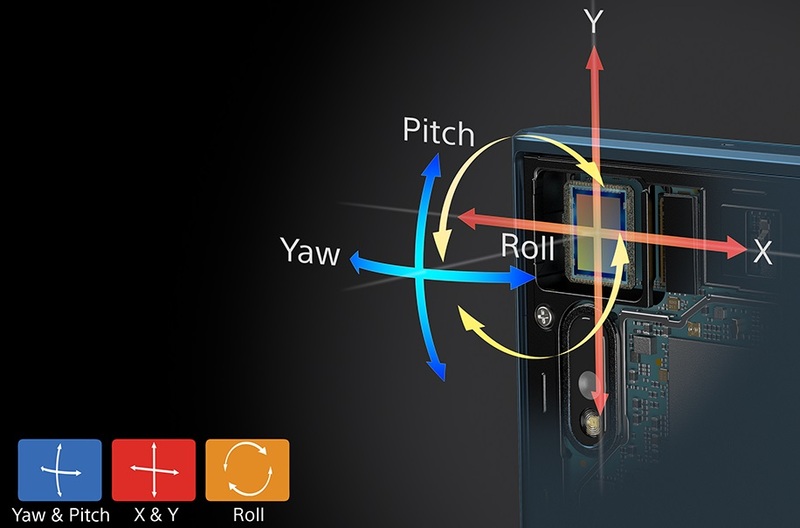 The front facing camera is a 13-megapixel camera with f/2.0 aperture, and wide-angle photography capability. The smartphone runs on Android 6.0.1 Marshmallow with Sony’s custom UI running on top. There were rumours that Nougat would be arriving soon on the Xperia XZ earlier in November but that timeline is no longer accurate. To reward Sony users, customers get access to the Xperia Lounge, which includes access to free Sony movies (12 of them), and other promotions. While battery is only 2,900 mAH, the actual performance isn’t too bad. Perhaps it’s the lower-res screen, or just better engineering by Sony. The phone still has about 30% charge at the end of the day. The Xperia XZ includes Qnovo adaptive charging technology. The technology allows the phone to monitor the cell’s electrochemical processes in real time and adjust charging parameters accordingly to minimize cell damage and extend the battery unit’s lifespan. The Xperia XZ also introduces Battery Care, which predicts the time you need the phone (say 7am in the morning) and controls the charging cycle so that the phone charges slower until the desired time. This would help in extending the lifespan of the battery. When we can no longer differentiate phone performance other than benchmark, the one defining feature of a phone is the camera. The Sony Xperia XZ uses the Sony IMX300, and depending on whether you select 4:3 or 16:9 ratio, you get either a 22.8MP or 20.1MP image. The 4:3 image is more of a crop from the widescreen shot, and default shots should be left in the 16:9 mode to capture more details. The Xperia XZ uses a 5-axis image stabilization. Besides the pitch / roll / yaw shake, it can also compensate for translation in the X and Y direction. Sony’s system is able to compensate for translation alongside two axes and rotation around all three. There’s also laser autofocus added to the hybrid contrast / phase detection autofocus, and an additional RGBC-IR sensor for better colour representation. In day and outdoor shots, the Xperia XZ excels and competes favourably with the rest. I found the images a little too noisy and muted colours in areas of low light. It’s a good camera, but doesn’t stand out in a competitive field with other great camera phones like the iPhone 7, Google Pixel, Samsung Galaxy S7. The Xperia does have the higher megapixel count, and while it’s not so important for the rear lens, the Xperia XZ front lens is the only one with a double digit megapixel count. The Xperia XZ is the best Sony phone around, and will please many Sony fans. The camera is decent, packs a good display and an excellent fingerprint sensor. The technical specifications are not spectacular, but Sony has worked within the boundaries, such as a smaller battery than others, but integrated each component well such that the sum is greater than the parts. Is it enough in this competitive space? Buyers wouldn’t be disappointed if they are looking for an alternative Android phone.